Sanctuary of the Divine Mercy situated in southern Krakow district of Lagiewniki is one of the most popular pilgrimage locations in Poland. Shape of the temple resembles a boat and is famous for housing relics of Saint Faustyna Kowalska. Shrine to St. Faustyna is located in lower part of the church. Lagiewniki Sanctuary was visited by Pope John Paul II twice during his pilgrimages to Poland in 1997 and 2002. 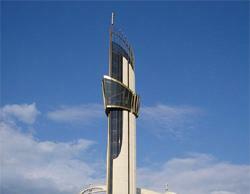 Today visitors can admire monument to John Paul II in front of the main entrance to Sanctuary. 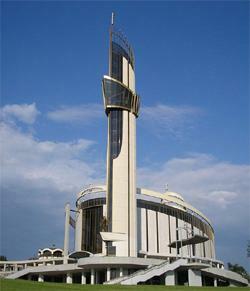 We offer you private tours to Sanctuary of the Divine Mercy in Lagiewniki with private English speaking guide.